ACCIÓ . Accredited advisor in “Technology, healthcare industries and life sciences” (2018). MJN Neuroserveis, S.L. Member of the Advisory Board. eXiT*CBR. 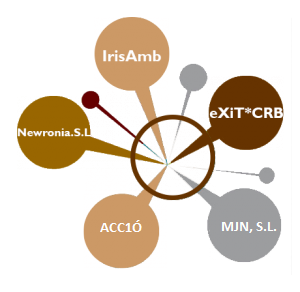 The eXiT*CBR framework was designed to bring together CBR methods currently used in medical applications and data mining and visualization techniques that can be plugged into it. It goes beyond pure CBR prototyping and aims to support experimentation. Newronia.S.L. Spin-off company that provides Artificial Intelligence based solutions to optimize resources related to transportation and logistics.